B2B buyers are now empowered to self-educate online throughout the buying process. As a result, marketers are being asked to create, distribute and measure more content than ever before to keep up with the appetites of prospects and customers. 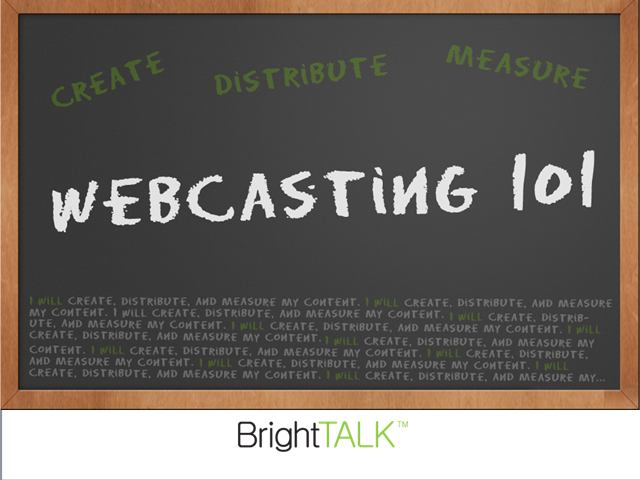 Join David Pitta, BrightTALK’s Demand Generation Manager, to learn how marketers are leveraging webcasts to shape and influence their market.